On a remote Oceanic island more than 2,520 miles from the mainland and lightyears away from your worries and cares, on a ranch with palm trees and ocean views, in a land where wild roosters rule the streets and sleeping giants watch over the land, and on the last night of the year, an all-star group of musicians, led by the Grateful Dead’s Bill Kreutzmann and Bob Weir, will put a final exclamation mark on 2018 and deep dive head-first into the coming year, while celebrating a magical “here” and a transcendent “now.” And you’re invited to tag along. “Rising Up to Paradise” will feel more like an informal backyard bash than a big ticket New Year’s celebration, where the atmosphere of a secret soiree will be paired with the welcoming spirit of aloha. 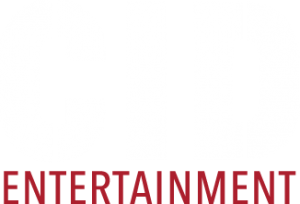 Also scheduled to perform: The Dirty Knobs with Mike Campbell, Taj Mahal, Island Grass and a late-night set hosted by DJ Logic. Untold treasures (and a brand new year) await. Proceeds from Rising Up To Paradise: New Year’s Eve on Kauai will benefit The Hanalei Initiative and Earthjustice, two non-profit organizations devoted to protecting and preserving the local environment. Looking for overnight accommodations close to Rising Up To Paradise? Our friends at Aqua Kauai Beach Resort are offering discounted hotel rates for Rising Up To Paradise guests. Exclusive offer applies to deluxe king rooms with a mountain/garden view on December 30 through January 3. 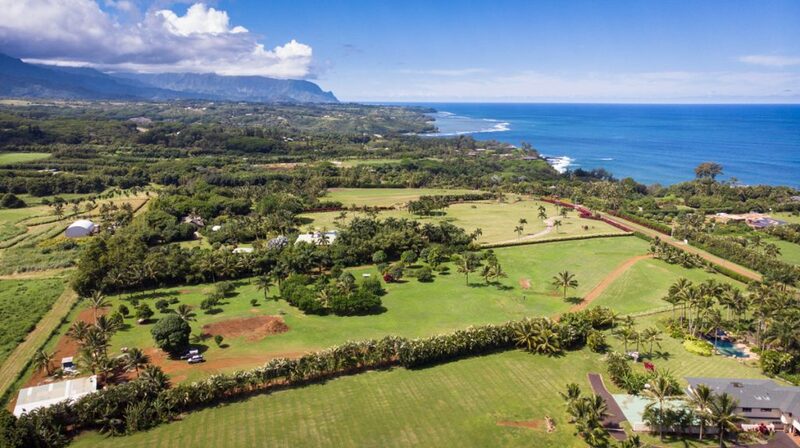 Nestled on 25 breathtaking oceanfront acres on Kauai’s eastern shore, Aqua Kauai Beach Resort offers true Hawaiian hospitality and excellent amenities and activities that embrace the island’s lifestyle. The resort offers something for everyone: 4 idyllic swimming pools with waterfalls and a waterslide, on-site dining, spa, cultural activities, live entertainment, and much more. 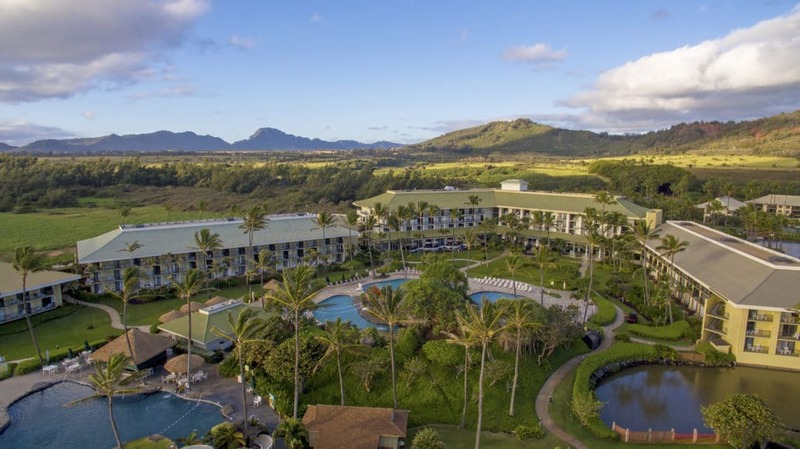 Centrally-located, the resort offers easy access to the best of Kauai, from the lush mountains of the north shore to the staggering scenery of Waimea Canyon to the south, and everything in-between. Immerse yourself in Kauai’s most authentic and complete resort experience. *Proceeds to benefit The Hanalei Initiative and Earthjustice. General Admission tickets include a ticket to the “Rising Up to Paradise” New Year’s Eve concert on December 31, 2018, benefiting The Hanalei Initiative and Earthjustice. Proceeds from Rising Up To Paradise will be donated to two local organizations committed to bettering the local community and ensuring the welfare of our planet. The Hanalei Initiative was formed to identify and solve the immediate and long-term community and environmental needs of Hanalei and Kauai’s North Shore. Their main areas of focus are: water quality, transportation and the maintenance and beautification of community spaces. As the nation’s largest nonprofit environmental law organization, Earthjustice leverages their expertise and commitment to fight for justice and advance the promise of a healthy world for all. To secure a flourishing world, their fleet of 130+ lawyers defend the wild, healthy communities, clean energy and more, because the earth needs a good lawyer. 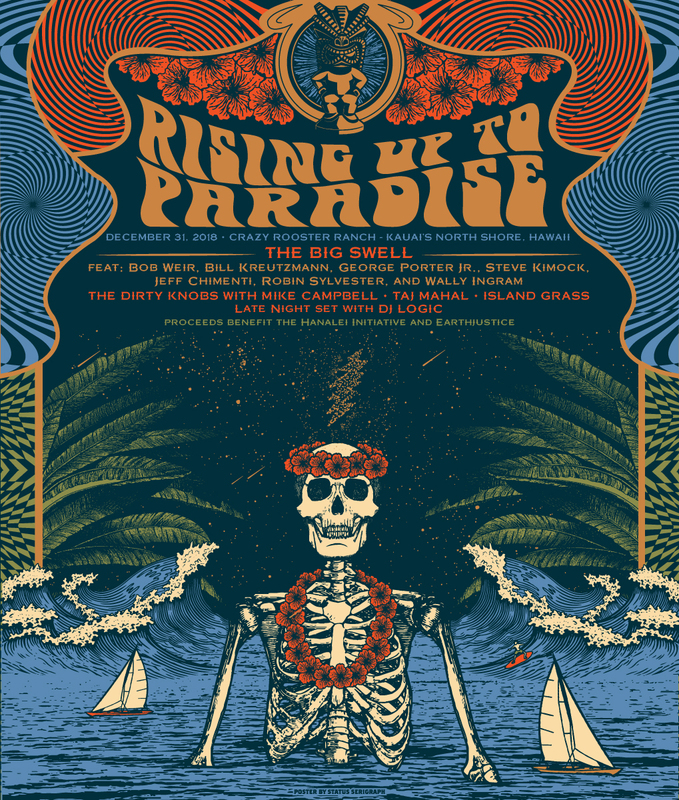 Kaua’i (also spelled “Kauai”) is home to many of the musicians performing at Rising Up to Paradise, including Bill Kreutzmann, Mike Campbell, and Taj Mahal. It is also home to countless wild chickens and crazy roosters, which you will see virtually everywhere you go on the island. They may even be in your way at times. Yield. In fact, the original answer to “Why’d the chicken cross the road?” was a very deadpan “Because they were in Kauai.” Ever since Peter, Paul and Mary had a hit with “Puff the Magic Dragon,” music fans and cannabis activists alike have located the song in Hanalei on Kauai’s North Shore, and they make a compelling argument, but the songwriters have all denied this. We’re not taking sides. Kauai is also known as “the Garden Isle.” It’s the oldest Hawaiian island and its origin story is volcanic in nature. Literally. As with the other islands in the Hawaiian archipelago, it is geographically located in Oceania — more specifically, Polynesia — which means, Toto, that you’re not in North America any more. It’s the only U.S. state that can say that. If states could talk, that is. All of the Hawaiian islands are popular tourist destinations, but Kauai is an island or two apart from the hustle and bustle of Honolulu. It’s the kind of place where honeymooners go to honeymoon, backpackers go to backpack, surfers go to surf, bird watchers go to bird watch, and famous people go to not be famous. There’s a lot to offer vacationers but it’s not exactly Ibiza, either— this is a place to go to get away from all the noise, a place to unplug and get in touch with nature. You can scuba dive, snorkel, golf, and hike for days. There are amazing farmer’s markets almost every day of the week featuring local produce that you’d be hard pressed to find on the mainland. And there is natural beauty every step of the way. Except in the Costco parking lot. That lot is not “the lot” you’re looking for. So get what you need and move along. But if you’re looking for paradise, it can certainly be found on Kauai. Q: Is this event all ages? A: Yes – all ages are welcome! Q: Where should we stay? A: Big wave surfing is big here but couch surfing isn’t. Like all tourist destinations, Kauai has lots of options for visitors and plenty of average people with very different opinions have reviewed them all on the Internet. We recommend looking at hotels or rental properties in Princeville, Hanalei, Kapaa, or Poipu. Q: Do I need a passport? A: This is not a stupid question! After all, Kauai is the more remote of the Hawaiian islands and it feels remarkably different than, say, New Jersey. But it’s still the United States of America. A valid driver’s license is all you need to board your flight and/or get into the island’s many, many sports bars, Irish pubs, and dance halls. Q: Does “Aloha” mean more than just hello or goodbye? Q: Will The Big Swell play one or two sets? Q: What kind of clothes should I pack? A: The kind that Jimmy Buffet adores and that Hunter S. Thompson wrote about. Those are good here. Ever take note of Billy’s tie-dyes or Bobby’s shorts? Those work too. But whatever your fashion cue, light and breathable clothes like short-sleeves and swimming trunks will have you dressing like a local. Recommended: one “just-in-case” light hoodie or long-sleeve outerwear and a pair of jeans or trousers. Q: What kind of shoes? A: Ugh, leave your UGGs at home. Flip-flops or sandals (“slippahs”) are all the rage and for good reason. Unless you plan on hiking, you’ll never need to wear anything else. On your feet, we mean. A: Bring rain gear and make sure any electronics are water-resistant or else placed in properly protective cases. Or just bring a bowl of rice for when we told you so: Kauai is home to the eighth wettest area on earth (Mt. Waialeale). Q: Will cell phones work? A: As long as you paid your bill on time. If your plan covers the United States of America, then you should be good. But, like, you know: check with your provider or search online. And like all tucked-away places, service can be spotty in spots for sure. If you experience a Dead zone… dance!! Q: Is there a schedule? A: Sorta. We think the lineup will go in this order: Island Grass, Taj Mahal, The Dirty Knobs with Mike Campbell, The Big Swell (feat. Bill Kreutzmann, Bob Weir, and friends), followed by a late-night set hosted by DJ Logic… but as Jerry said about pouring ketchup: “All good things in all good time.” He did say that about ketchup, right? Q: Where will I receive my merchandise gifts (VIP and Super VIP only)? A: UPDATED 12/27 – We will have a VIP check-in for you at the venue on the day of the show. This is where you will pick up your limited-edition screen-printed poster. The limited-edition embossed champagne flutes will be shipped to guests directly after the event – we will email all purchasers after the event to gather preferred shipping addresses for those. Q: How do I get around the island? A: With loose lips. But also: taxis and ride shares can be few and far between on da island, especially during holidays. We recommend renting a car ASAP. To find out how, talk to Siri, Alexa, or Mackenzie. We’re not sure who Mackenzie is though — ask Peter Maldonado. Note: Even with the island’s aloha spirit, you still gotta play by street smarts. Don’t leave any valuables, pets, small humans, or members of New Kids on the Block unsupervised in your rental car. Q: Where is the show? Q: What’s the closest airport? A: That’s easy — there’s only one. And it goes by the initials LIH. (Lihue, HI). Q: Will there be food and beverage available for purchase at the event? A: Not at the venue, so bring cash. Hey, what does ATM stand for, again? Well, anyway, there are plenty of automated teller machines on the island itself. Q: What if I want to tape the show? A: Scotch tape is bad for the environment and masking tape is unsightly. Do as you will, but don’t worry — we’re recording it!! Much love to the tapers!! Q: What if I want to photograph the show? A: You know your cell phone can double as a camera, right? Small personal cameras are also allowed but be sensible. None of the big stuff, big shot. Q: What happened to the family cat? A: Ask the Family Dog. Q: What if I change my mind and no longer need my tickets? A: All tickets are non-refundable. Please refer to the Purchase Policy for complete details. A: We can’t remember. But we can tell you that Kauai is a very relaxed and informal place that values respect — for other people as well as nature. This means bringing not just peace but also quiet (when and where appropriate), patience, and an awareness that you are a guest on the island. If you forget that, local legend has it that you’ll be sacrificed to The Big Wu. (And by “local legend,” we mean a Hollywood film from 1990 staring Tom Hanks).